An enforceable arbitration agreement can lead to a streamlined and more expeditious resolution of issues on an individual, rather than a classwide, basis. It’s important for employers to know how to enforce a valid arbitration agreement and how to avoid losing your ability to enforce such an agreement. A recent case is a cautionary tale of an employer unintentionally waiving its right to compel arbitration against putative class members because of some perceived missteps in litigation strategy. The court of appeal addressed whether the employer waived its right to compel arbitration against absent class members by deciding not to seek arbitration against the employee who filed the lawsuit—an issue that presents itself quite often yet hasn’t received a lot of attention from the courts. The 36-page decision provides important guidance on how to manage class action lawsuits involving putative class members who may be subject to arbitration agreements. “Eveline” worked as an exotic dancer for Prisma LLC (d/b/a Plan B Club). In her lawsuit, she alleged that Plan B dancers were misclassified as independent contractors rather than employees. All putative class members were subject to one of two arbitration agreements: either a pre-July 2011 agreement, which didn’t address class arbitration, or a post-July 2011 agreement, which contained a class action waiver. Eveline had signed the pre-July 2011 agreement. Early on in the lawsuit, Plan B filed a petition to compel arbitration of Eveline’s individual claims. But the club withdrew the motion before it was heard and answered the complaint. Litigation proceeded, and the matter was certified as a class action. At that point, Plan B filed two motions to compel arbitration (one for each of the two arbitration agreements in effect), arguing it hadn’t waived its right to pursue arbitration against the unnamed class members because they weren’t parties until a class had been certified. In making a determination on the motions to compel, the trial court found that Plan B had waived its right to pursue arbitration with regard to all class members because of its undue delay in doing so. The court rejected Plan B’s arguments that it had withdrawn its motion to compel arbitration because, based on the state of the law at the time, it feared the court might order classwide arbitration. First, the trial court rejected the argument that the state of the law at the time Plan B moved to compel arbitration against Eveline would have made the motion “futile.” Second, the court found that Plan B delayed unreasonably in moving to compel arbitration even after the June 2014 decision in Iskanian v. CLS Transp. Los Angeles, which would have admittedly eliminated any “futility” argument. In Iskanian, the California Supreme Court held that the Federal Arbitration Act (FAA) preempts California law that bars class arbitration waivers in employment agreements. Plan B appealed the trial court’s decision that it had waived its right to enforce a valid arbitration agreement. The court of appeal agreed with Plan B’s argument that unnamed class members wouldn’t technically have been bound by the trial court’s rulings prior to certification. However, it found that the waiver argument could be analyzed by taking into consideration Plan B’s actions in relation to Eveline only, even if it was seeking to compel arbitration for all class members. By moving to compel arbitration against Eveline, Plan B could have effectively settled the question of whether the claims in the action should be adjudicated in a court or through arbitration, at least with respect to the agreement Eveline had signed. While Plan B’s hesitation in filing a motion to compel arbitration after the Iskanian decision was key to the finding of undue delay, it wasn’t lost on the court of appeal that even pre-Iskanian, Plan B might have had a viable argument to compel Eveline’s individual arbitration under AT&T Mobility LLC v. Concepcion. In Concepcion, the U.S. Supreme Court held that the FAA preempted California’s rule classifying most collective arbitration waivers in consumer contracts as unconscionable. In fact, the appellate court noted that in the course of the litigation, Plan B cited Concepcion for the proposition that individual arbitration was permissible “despite class allegations” yet opted not to make that argument to the trial court. The trial court believed, and the court of appeal agreed, that Plan B’s conduct demonstrated an attempt to gain a “strategic advantage” through litigation in court. Specifically, Plan B delayed its request to compel arbitration in the hopes of defeating class certification and otherwise seeking to arbitrate at that point. It was that strategic decision, and the court’s disbelief that there was a bona fide desire to wait for an expected clarification of the law, that the court of appeal repeatedly emphasized and focused on throughout its 36-page decision. Of importance to employers, the court of appeal pointed out that the situation before it in this case was different from the situation in Sky Sports and Lee v. Southern California University for Professional Studies. Because the named plaintiffs in Sky Sports hadn’t signed arbitration agreements, the court concluded that they couldn’t be compelled to arbitrate, even though the putative class included persons who had signed such agreements. The court of appeal also analyzed whether a finding of waiver was supported under the factors identified by the California Supreme Court in Saint Agnes Medical Center v. PacifiCare of California. First, the court highlighted that there was a nearly 4-year delay between the date Eveline filed her complaint on October 7, 2011, and the date Plan B moved to compel arbitration on August 12, 2015, which is longer than the situation in many other cases in which courts have found a waiver of the right to arbitrate. Moreover, while Plan B argued that it didn’t initiate much discovery (i.e., exchange of evidence) during the delay, the appellate court found that the clear litigation strategy that went into deciding not to pursue arbitration against Eveline, as well as the class certification motion itself, was a significant litigation event. In other words, it was conduct inconsistent with the right to arbitrate. Sprunk v. Prisma LLC (California Court of Appeal, 2nd Appellate District, 8/23/17). This case is an important cautionary tale for any employer considering a strategic delay in enforcing an arbitration agreement or waiting for a change based on the belief that a motion to compel would be futile under the current state of the law. 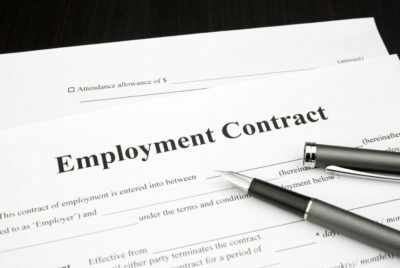 While the analysis seemingly indicates that there might have been a different result if the court of appeal had believed the employer was acting in good faith, it’s a reminder of the importance of immediately moving to compel arbitration if the employee who files a class action is subject to an arbitration agreement. Otherwise, absent a situation like the one in Sky Sports (where the employee who filed suit hadn’t signed an arbitration agreement), courts may find a waiver of an employer’s right to compel arbitration for all class members. Carolina A. Schwalbach of Carothers DiSante & Freudenberger LLP in Los Angeles, is a contributor to the California Employment Law Letter. She may be reached at cschwalbach@cdflaborlaw.com.